The Hawkesbury and District General Hospital (HGH) provides compassionate, safe and quality patient care to the residents of Prescott-Russell in Eastern Ontario and surrounding areas. HGH is a bilingual, 69-bed community hospital providing a full range of programs and services from its main campus in Hawkesbury and two satellite centres in Clarence-Rockland and Casselman. On June 28, 2017, the HGH Board of Directors adopted a resolution to update the corporation’s patent letters, including a change of the legal name. Previously, the legal name had a bilingual form. Starting October 1, 2017, the new legal name has an English version and a French version that may be used independently. For more information, please consult the draft patent letters included in the board resolution (PDF). HGH counts on its 115 physicians, 775 employees and 120 volunteers to meet the changing needs of the community. HGH is recognized for its culture of compassion, its spirit of innovation and its drive for excellence in patient care. 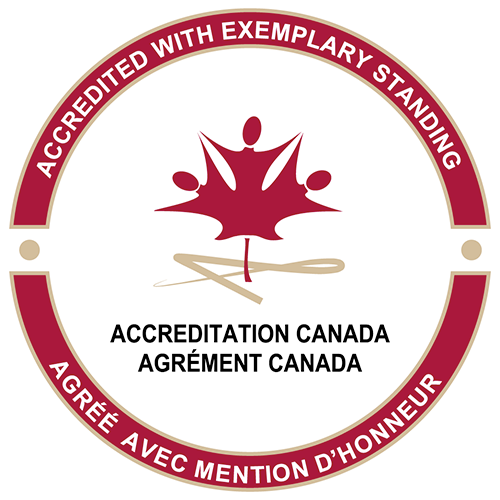 In May 2015, HGH received Accreditation Canada’s highest ranking: Accredited with Exemplary Standing. HGH remains at the forefront of developments in healthcare and is very proud of its teaching affiliations with the University of Ottawa and La Cité community college.